But it sez Sacred Hill on the tin. They make Rifleman, Deerstalker and Helmsman, so it has gotta be good, right? Hmmm…the colour is raspberry cordial. The nose is very light, with only hints of typical pinot savouriness, and candle wax. It tastes thin, slightly bitter, perhaps the grapes were under-ripe or overcropped. Not good enough. 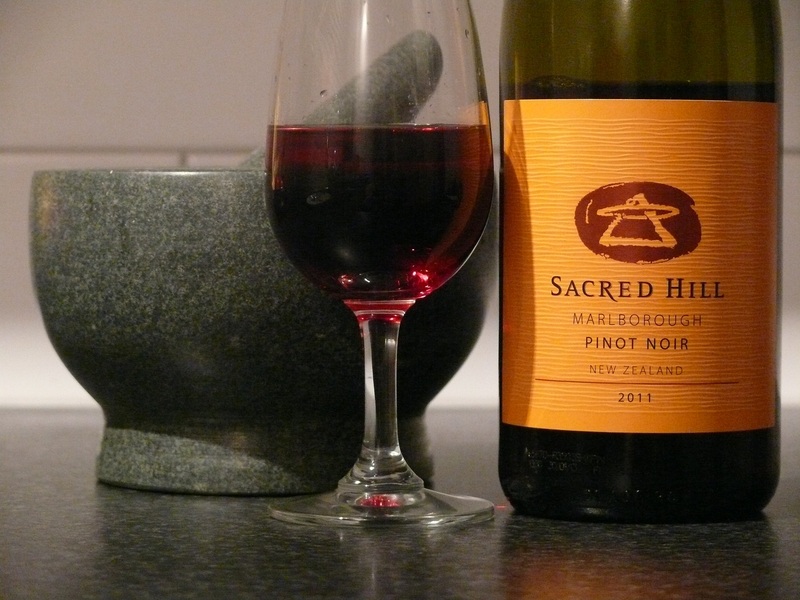 This entry was tagged 2, 2011, Marlborough, Pinot Noir, Sacred Hill. Bookmark the permalink.